Dublin, CA September 3, 2017: On Wednesday, August 30, nomad John Sears (“Mule”) was arrested in Castro Valley for trespassing (PC 602(k)), and for resisting, obstructing, or delaying a police officer (PC 148(a)). He was held at the Alameda County’s Santa Rita Jail in Dublin on $10,000 bail. Mule did not want bail posted on his behalf. On the morning of Friday, September 1, before the scheduled arraignment, the Alameda County District Attorney’s Office determined not to file charges. Sacramento criminal defense attorney Candice Fields of Candice Fields Law, who met the Mules several years ago, volunteered to represent Mule. She and her colleagues visited him in jail. She reached out to the DA, stood ready to appear at the arraignment, and was prepared to take Mule’s case to trial, if necessary. It took all day for the Court and Jail to process Mule’s release. 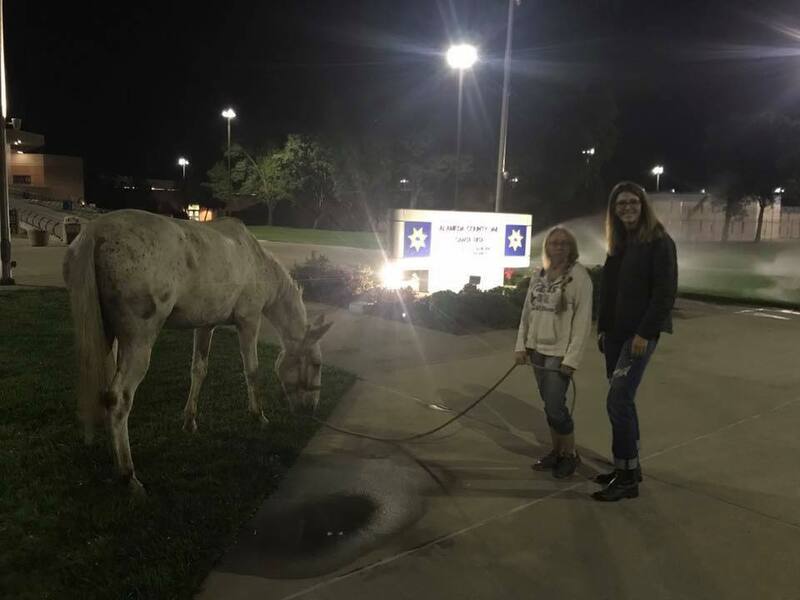 He was finally released on September 1 at 9:15pm and was reunited with his 27-year old mule Little Girl, who has been by his side since 1993. The Mules will continue their annual migratory journey south one step at a time to San Diego. On the way, the Mules will deliver their Declaration of Emergency to every city hall, congressman’s office and state capitol by which they pass, requesting an interstate trail system for pedestrians, cyclists and equestrians with freedom to stop and rest outdoors for the night. Sears and his mules have been living an ages old nomadic life with for the past 33 years, and living stead outdoors full time with his mules since 2001. The Mules’ journey is documented extensively on their website 3Mules.com and 3 Mules Facebook page, which has over 41,000 followers. Did he get his mules back without difficulty? Where were they kept after he was incarcerated? Surely that required some paperwork. Was he charged for their boarding? @David – Mr. Sears/Mule is currently traveling with his favorite mule, Little Girl, who he has had with him for some time. He was lucky enough to have a number of friends/supporters who retrieved his mule and took care of her during his stay with the county. The photo is of Little Girl mowing the lawn outside Santa Rita Jail with two human friends. It’s too hot to be walking anywhere. I’m happy for him but I’m going continue lying on the couch and avoiding the heat.